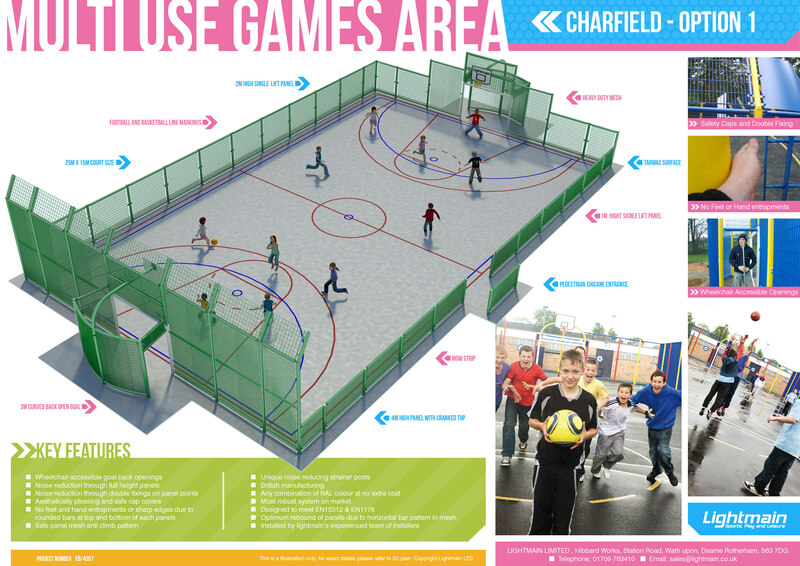 Work starts Monday 23rd June 2014 on the installation of a Multi-Use Games Area for village of Charfield. This sort of facility (see below) was something that was identified as being needed when the Village Plan Survey was carried out in 2012, and since the plans adoption in early 2013 the Parish Council along with other village groups have been working on implementing some of the actions that were drawn out. At a cost of approx. £55k + VAT – the parish council wondered how feasible a project of this scale was. When planning permission was granted in late in 2012 for 16 new properties behind Chapel on Wotton Road – some monies were allocated towards project via Section 106 – and the Parish Council working in conjunction with Tina Rainey (Sec 106 Adoptions and Play Co-ordinator – Community Spaces) and Alan Sherratt (Community Spaces Co-ordinator) from South Gloucestershire Council – started looking at options – and getting tenders in….. It was soon realised that there was still a shortfall of approx. £20k….and Parish Council felt that project would have to wait a further year. However, due to a donation from a local business and monies secured via the ‘New Homes Bonus Scheme’ at the last Severn Vale Forum (by Vice Chairman Ian Kershaw and Ward Councillor John O’Neill)…..the order was placed with chosen supplier at the beginning of the month. 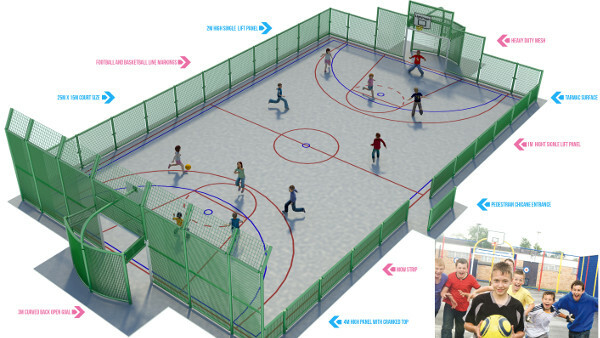 The work should take 3 weeks – allowing facility to be completed in time for the summer holidays – when children from Charfield and neighbouring villages will be able to enjoy the benefits that it will bring.